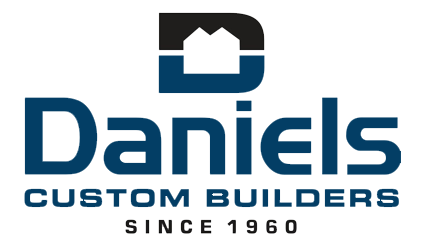 Daniels Custom Builders started in 1960 as a commercial and residential masonry contracting company specializing in the construction of banks, schools, shopping centers, churches, government buildings as well as homes throughout central Virginia. Co-owner and founder William J. Daniels, Sr. loved his trade and was well respected in the community. It is his strong work ethic and enduring portfolio of excellence that are the foundation of Daniels Custom Builders today. Daniels Custom Builders strives to make each customer a priority by listening and working to understand your vision, coupled with Daniels Custom Builders years of experience in design and construction we will deliver a product that meets customers' expectations. We have gathered some background information about our current team below, and would like to give special thanks to Frances Daniels and Joanne Daniels Easter for their many years of dedicated service. William J. Daniels, Jr. started in the construction field in 1978, working as a brick mason tender progressing into his role as brick mason. He worked on commercial and residential projects as a mason for four years before taking a position as job foreman, responsible for all aspects of job completion, including production and oversight. In 1987, he became a partner in the company as we expanded into custom home construction and general contracting. In 1995, Billy became president, in charge of all aspects of the firm, and has since expanded the company into commercial maintenance, renovations and remodels, and the construction of various monuments and signs. In 2004, Chad started in the construction industry by working with trim carpenters, becoming full-time in 2006 as an equipment operator and general laborer. In the ensuing years, Chad filled many different roles as he learned the various aspects of the general contracting field. In 2012, Chad was promoted to a foreman position in charge of project coordination and completion. By 2014, Chad assumed the role of Vice President of Operations with us, adding the responsibilities of project management, project estimating, and the day-to-day maintenance of equipment. Today, Chad continues to help us strengthen our resolve to deliver projects on time with a focus on customer service. In 1992, Sharon began assisting in day-to-day administration and office management. Beginning in 2010, she took on the role of design consultant, and now assists in the coordination of lighting and plumbing elements, as well as interior design and layout. Hailey assists the company in a variety of areas, including website maintenance and design, accounting, and social media/marketing efforts. Hailey has a bachelor's degree in business and human resource management from Virginia Commonwealth University.